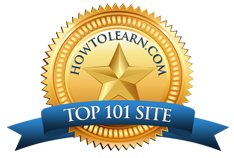 Get Better Grades Makes The Top 101 Educational Websites List! Published on March 12, 2011 in General, Positive Mindset, Student Resources and Study Tips. 0 Comments Tags: Award, How To Learn, HowToLearn.com, Pat Wyman. Even though we’re #1 in our category on ClickBank and have been for more than a year, it’s always nice to win awards and acquire other designations. This one’s special because Pat Wyman does a great job with her HowToLearn.com website. I’ll talk more about it in a few upcoming blog posts, but right now, it’s all about us and our new award that now adorns our blog page!